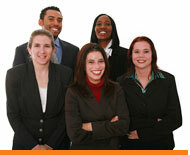 Our Staffing Department is a recognized provider of strategic staffing solutions for personnel resources. We provide our clients the ability to identify, screen, and hire the best professional talent available in today's market. We focus on Contract, Direct hire, and Contract-to-hire. We use our over 27 years of combined specialty staffing knowledge to provide world-class service to our clients and candidates. At Broward Jobs, we believe in ourselves and the people around us. We believe in our company, clients, and their desire to succeed. What we do best is serve our clients. Simply, we love what we do, and we love the people whom we work for. We can help you supplement your workforce and reduce overhead costs. Save thousands of dollars in both the actual and indirect costs of hiring new employees by letting us recruit, screen, and place the personnel you need. We assume many of your HR management responsibilities too (Like Benefits and payroll coordination). We can also recruit the most talented professionals to work directly for you as a full-time, permanent, employee. Your account manager will take time to know you, your management style, and your company’s culture. This ensures that we find the ideal people for your organization. Broward Jobs has successfully delivered outsourced IT projects geared towards unique customer needs. We provide Custom Software Development, Web development, Internet Marketing and management, and IT Management. Our objective is to bring high levels of service, quality, process and thought leadership, while implementing state-of-the-art technologies for our clients at a cost that will save them anywhere from 30-70% on average. Our services and solutions are built to complement our customer's business strategy, size and IT spend. Broward Jobs strategically leverages it's partners and alliances, helping clients implement and integrate the best packaged solutions to deliver business results.